With the start of the football season upon us, I thought I would post a recent assignment for Sports Northwest Magazine. We were hired by a former co-worker from our days at the Seattle P-I, Todd Dybas, who is now the editor at the magazine. 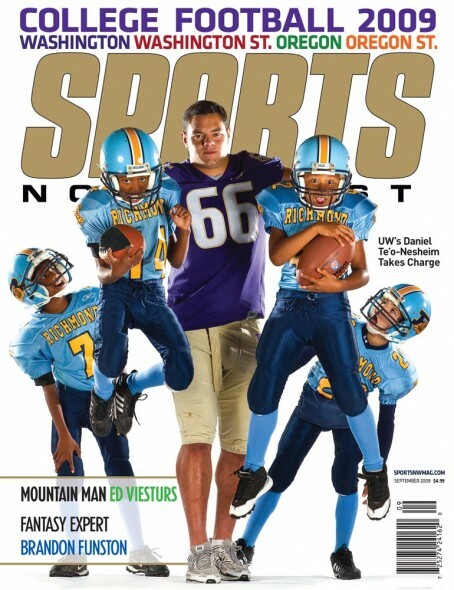 He wanted a cover shot of University of Washington football player Daniel Te’o-Nesheim, with the working title of “man among boys”. He also wanted a portrait to go inside on a double-truck. So Rob Sumner and I hauled a background and cases of lights out to the University of Washington and set up a studio. Daniel, a defensive end, was a really nice young man and was great to work with. He was a little late for the shoot and felt bad, so afterwards he took all of the kids out for milkshakes. Go Dawgs!!!! This entry was posted on Friday, September 4th, 2009 at 9:02 pm. 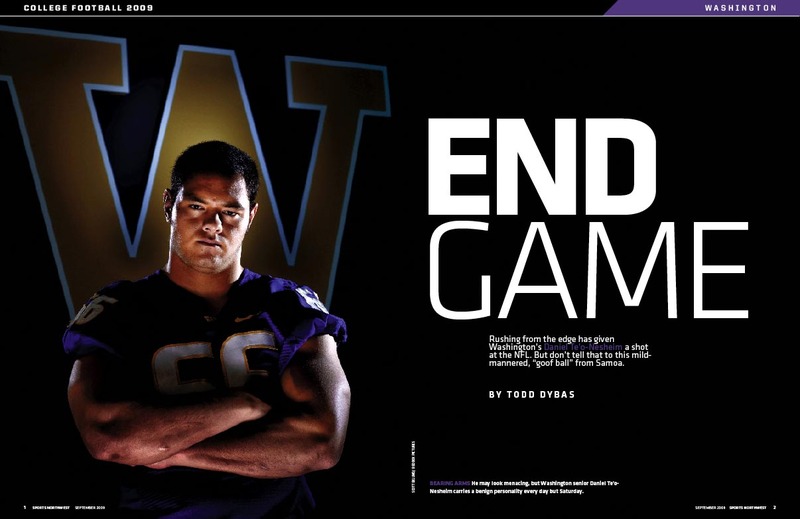 It is filed under ON LOCATION, SPORTS and tagged with college football, Daniel Te'o-Nesheim, Dawgs, Huskies, Portrait Photography, red box pictures, scott eklund, Sports Northwest magazine, Sports Photography, Todd Dybas, University of Washington, UW. You can follow any responses to this entry through the RSS 2.0 feed.